Close to the long beaches and friendly seaside towns of the Garden Route lie the game reserves of the Eastern Cape. 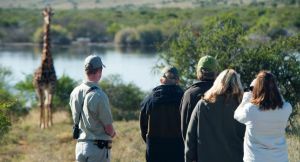 Home to lion, leopard, rhino, elephant and buffalo, these private reserves have gained an international reputation for conservation and give travellers an opportunity to add a genuine Big 5 safari onto their Garden Route holiday. 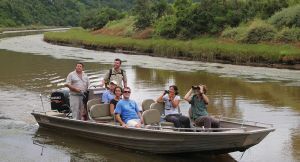 A Garden Route safari is all about diversity. There’s abundant big game, the birdlife is fantastic, and you’ll walk on deserted beaches, cruise along teeming rivers and visit archaeological sites too. Many reserves are sanctuaries for endangered and highly sought-after animals such as cheetah and wild dog. The standard of guiding is very high and many specialist guides are available for interests such as bird watching, local history and culture. It’s a naturalist’s paradise, and the healthy malaria-free environment means it’s perfect for families with young children. Indeed, several lodges specialise in family safaris, offering exclusive-use accommodation, tailored safari programmes and dedicated staff. 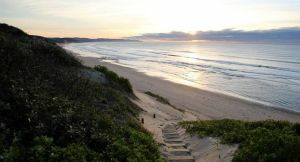 Together with the Garden Route’s user-friendly beaches and many activities, it’s a hard-to-beat family holiday destination. The Eastern Cape reserves are also about stunning scenery and unspoilt views. 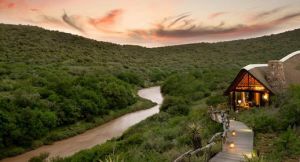 Several of South Africa’s most beautiful safari hideaways are found here, complete with decadent suites, private plunge pools and candlelit private dining, making a Garden Route safari a great choice for honeymooners and discerning couples. 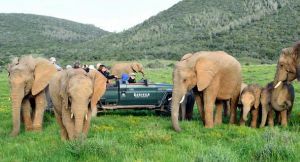 A Garden Route safari is an easy and rewarding combination with Cape Town. You can enjoy all the highlights of the ‘Mother City’ – Table Mountain, Cape Point and the Winelands – before discovering the golden-sand beaches and game reserves of the Garden Route. 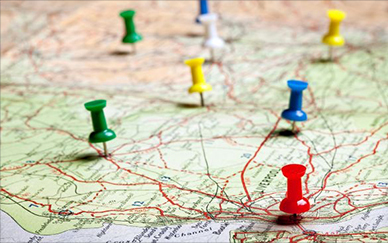 The best reserves are all within easy reach of Port Elizabeth Airport which means easy travel connections. It’s just a short flight back to Cape Town and a similarly short one to Johannesburg from where you can hop across to the Kruger Park for a super-sized take on a Big 5 safari. Browse our suggested Garden Route safaris or contact us for a tailor-made itinerary. Guided tours are available but the relaxed and accommodating nature of the Garden Route makes it ideal for a self-drive tour. You’ll have the freedom and flexibility of doing things at your pace, and there is plenty of exclusive-use, home-from-home accommodation along the way. on a Garden Route Safari? The Eastern Cape reserves are home to the Big 5 & you’ll be on the lookout for them on your guided morning & afternoon game drives. Spot-lit night drives add to the thrill. Whether you explore by kayak, small boat or sunset cruiser, a river safari is an excellent way to spot wildlife & enjoy the sunset. Ask us about the best riverside lodges. 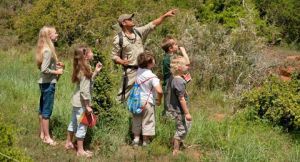 Malaria-free game viewing; tailored safari activities; baby sitters, kids menus & private family villas – a Garden Route safari couldn’t be better for families if you designed it yourself! 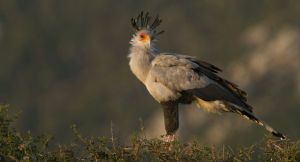 A mix of different habitats means many of the Eastern Cape reserves have bird counts of over 400 species, including many of South Africa’s endemics. Expect fabulous, year-round birding with expert guides. Many reserves are within easy reach of the famously unspoilt Eastern Cape coast. 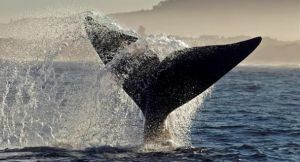 Add marine tours, beach walks & seasonal whale watching onto your Garden Route safari. The Eastern Cape is great walking country & its private game reserves offer anything from short self-guided walks to fully-guided multi-day trekking – ask us about the best one for your requirements. 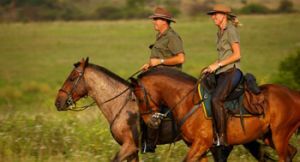 The open landscape of the Eastern Cape was made for horseback safaris; stunning scenery, easy riding & a great way to see big game. We’ll tell you the best places to saddle up. Couples are spoilt for choice on a Garden Route safari: idyllic settings, private suites & all the candle-lit details. Ask us about the best honeymoon hideaways & boutique spa resorts.